We don't know how war in space will look. But establishing a Space Force ensures it'll happen. We don’t know what war in space will be like. But chances are, it won’t be like “Star Wars” — it’ll be more like that. Outer space is no longer a mysterious place onto which we can map our aspirations. It’s never been cheaper and easier to launch a satellite into space. But in our effort to improve life on Earth and observe what we can of the cosmos, we’ve littered the space around our planet with growing quantities of junk. The space surrounding Earth is getting so crowded that countries like the U.S., Russia, and China are starting to wonder who it will actually end up belonging to, and what they’ll have to do to keep control over it (yes, we have outer space treaties saying that it belongs to everyone, but who cares). Countries are starting to wonder who will actually own space, and what they’ll have to do to keep control over it. And so, the idea of the Space Force was born. “Space is a war-fighting domain, just like the land, air and sea,” President Donald Trump told an audience of Marines in March. Despite questionable support and even more questionable funding (the Space Force didn’t make it into Congress’ 2019 defense spending bill), President Trump seems dead set on making the Space Force a thing. The U.S. has been obsessing over how to militarize space since at least the Cold War. For instance, “Rods from God” or Project Thor was a conceptual weapon inspired by 1950s science fiction that would fling tungsten rods from outer space at ludicrous speeds at unsuspecting enemies on Earth below. 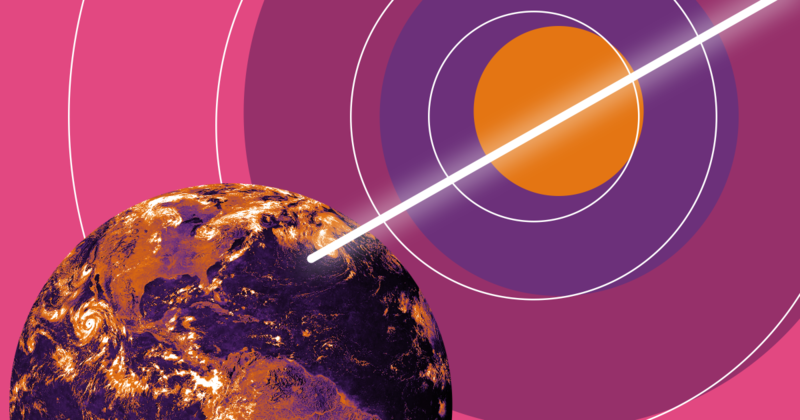 According to Popular Science, this unhinged concept resurfaced in an official Air Force document from 2003, referencing “hypervelocity rod bundles” in its list of possible space-based weapons. Luckily, space weapon systems like that never actually materialized (and still seem pretty ludicrous to us now). Space warfare in the 21st century looks pretty different — covertly launched satellites jam military GPS signals, and carry out reconnaissance missions using ultra-high resolution cameras, while troops prepare for on-the-ground attacks using satellite-based positioning systems. There’d be no pew-pew handheld laser guns shot at individuals inside gleaming white spacecraft, no fighter jets and death stars. Instead, the Space Force is more likely to involve engineers clicking away at lots of screens. But details on what a Space Force will actually look like, or even do, are scant. In a speech earlier this month, Vice President Mike Pence a four action plan to establish the Space Force, including the creation of a Space Command and an Operations Force made up of high-ranking military experts. Pence, however, didn’t outline what the Space Force would do that the Air Force, or NASA, doesn’t do already, or how will we pay for it. There’d be no pew-pew handheld laser guns shot at individuals inside gleaming white spacecraft, no fighter jets and death stars. Despite the seemingly comical vagueness of this plan, a Space Force, should one actually be created, would address some real concerns. Top of the list: protecting U.S. satellites. Recent reports suggest that Russia and China are developing space weapons designed to monitor and even take out U.S. military satellites. That could bring other American military operations to their knees — 800 U.S. satellites are in orbit, many of which provide the Pentagon with intelligence and communication networks and GPS — and they weren’t exactly built to protect themselves in case of an attack. Spy satellites could collect valuable information from the enemy by scanning the ground, or interfere with signals from other satellites. In the most extreme cases, they could take down other satellites. 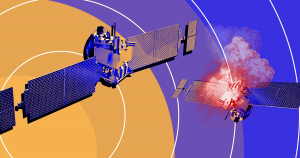 Ashley is right — the satellite fight is already heating up. In 2014, personnel at an undisclosed Air Force base rang the alarm bells when they discovered that Russian “Kamikaze” satellites (formally known as Kosmos 2499) were orbiting dauntingly close to U.S. deployed satellites. The sheer proximity made them worry that the Russian satellites could take out the American ones. Then there was the time in January 2007 when Chinese ballistic missiles intentionally blew up one of the country’s own outdated weather satellites into thousands of pieces of metal, as Wired reports. Strategic Command forces in Nebraska were shocked — being able to shoot a missile at a target moving faster than the Earth’s orbit in outer space could lead to much more drastic action. Perhaps the government was testing out an anti-satellite rocket? The U.S. military isn’t taking the threat lightly. “Not surprisingly, nations are now actively testing methods to deny us continued use of space services during conflict,” William Shelton, former commander of the U.S. Air Force Space Command, told a House Armed Services Subcommittee in March 2017, CNBC reports. Now, proponents of Trump’s Space Force use the threat of other nations attacking satellites to legitimize its creation. “We are not initiating this. We are saying we will be able to defend our satellites in space. At the same time, if someone is going to try to engage in space with military means, we will not stand idly by,” U.S. Defense Secretary James Mattis told an audience during a trip to Brazil, as quoted by ABC News. For the average person, though, there’s not much to worry about. A satellite probably wouldn’t fall on anyone’s head — more likely, radars, positioning systems, and telecommunication networks would collapse. We’d have a hard time getting around, but except for some International Space Station astronauts afraid of getting shredded by ballistic satellite bits, we’d be pretty safe. But before the Space Force can shoot down any satellites at all, we’ll have to embark upon the long and tedious process of creating it. Shifting the responsibilities of thousands of military personnel, as Pence suggested, could take a very long time, and that’s only going to happen once the funds are nailed down and approved. And there’s no telling when that might be — Space Force could end up costing U.S. taxpayers an astronomical amount of money, which could make it a pretty tough sell for Congress. The booming private spaceflight industry could help speed this up. Decades of government investment has allowed companies like SpaceX and Boeing to advance spaceflight technology so much that launching cargo into space has become a whole lot cheaper. So when the Space Force wants to, say, launch a satellite to combat the (very real, or, you know, not) threats to U.S. dominance in space, it’ll cost it a whole lot less to do so. Not everyone is on board with the Space Force, of course. By allocating funds to a Space Force, the Trump administration is showing Americans what it values — security, ensuring American global dominance — and what it doesn’t — pressing human problems like restoring electricity to hurricane-ravaged Puerto Rico or bringing clean water to Flint, Michigan. In truth, we have no idea what space wars of the future will look like. But establishing a Space Force is sure to bring about that future more quickly. By amplifying mistrust between nations — will the next person to touch down on the Moon try to claim territory? — the Trump administration is quashing the kind of exploration and innovation that enabled us to have a Space Force in the first place.